Please see note BELOW for info on purchasing our PDF patterns!! 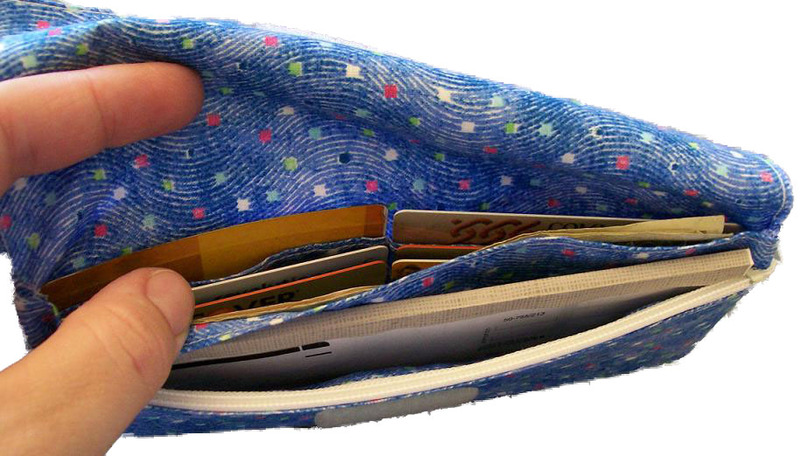 Slim, lightweight wallet that can easily hold your money, credit cards and even a checkbook!! Finished size: 7.5” x 3.5” (closed); with 6 credit card slots, 3 open pockets and a zippered pocket. This PDF pattern includes a materials list, and detailed instructions with lots of pictures. This pattern has a Partial commercial license ~ please see PDF info page for details.